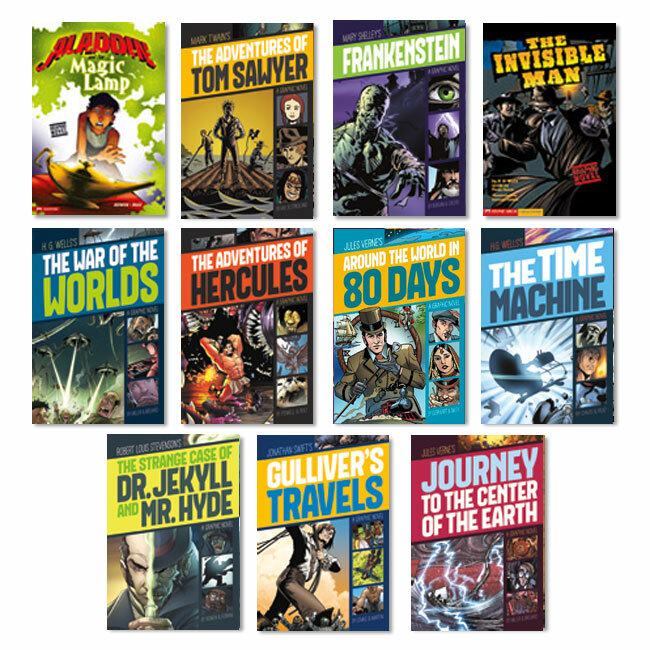 Capture reluctant readers with these treasured classics retold in brilliantly colored graphic-novel form. Glossary, further reading, discussion questions, and writing prompts make these ideal for either independent reading or language arts lessons. Books are available individually, or as a complete 23-book set. 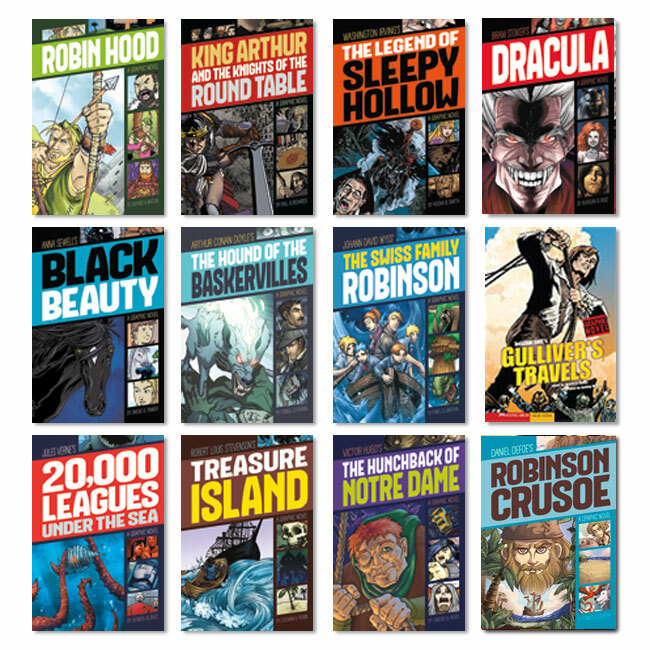 Theseus and the Minotaur is available separately and is not a part of the Complete Graphic Revolve 23-Book Set.